Thoughts of New Zealand generally conjure up spectacular landscapes complete with smoking volcanoes, abrupt mountains, relentless glaciers, stunning fiords, and odd flightless birds. This primordial backdrop made the perfect natural movie set for the Lord of the Rings trilogy. But what I will always associate New Zealand with is entirely manmade. As the first developed country west of the International Date Line, the plucky island nation of less than 4 million was the canary in the Y2K coal mine on Dec. 31, 1999. Anxious IT professionals around the globe were camped out in their data centers, ready to implement desperate measures if the canary stopped breathing as the millennium rolled over on its computer infrastructure. Instead they exhaled a collective sigh of relief as the Kiwi computers kept processing uneventfully, and civilization avoided a much-feared digital Armageddon. “About 30 people showed up for our inaugural meeting in February 2010, and we now have a bigger Facebook community than Social Media Club Sydney,” says chapter co-founder Alex Erasmus with justifiable pride. A recently transplanted Brit and public relations professional, Erasmus arrived in New Zealand in the fall of 2009 and soon found himself chatting with Nicholas O’Flaherty, his boss at Bullet PR, about the benefits that a social media professional organization could provide to the Auckland business community. “We saw the value of bringing together people who are engaging seriously with social media, even if they are competitors, to create a regular social media forum,” recalls Erasmus. Social media was already well-established at this point, so they decided to tap into existing social networks like the international Social Media Club. 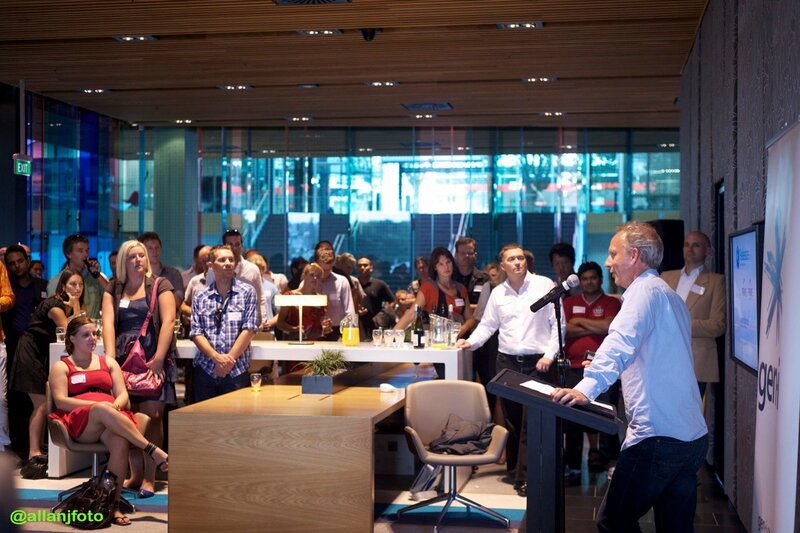 Erasmus and O’Flaherty founded the Social Media Club Auckland chapter, and gradually built a leadership team of 10. This size provides a lot of redundancy, and—unlike a lot of other chapters—team members don’t have specific roles. Instead, the responsibility for organizing meetings is passed around. “We are very loosely organized, and we have a lot of turnover,” explains Erasmus. There is a core group of five, and the rest of the team has their backs. Individuals are expected to come up with ideas for upcoming meetings; once particular topics are scheduled, the rest pitch in. Erasmus finds that this flexible structure enables the leadership to adapt more readily to both the rapidly evolving social media landscape and to its own constant turnover. The steering committee doesn’t meet face to face very often, relying heavily on e-mail to organize events. In sharp contrast, the leadership team completely eschews e-mail when promoting the chapter and its events. Instead, they practice what they preach and use only social media channels. The main promotional vehicle is Social Media Club Auckland’s Facebook page, and steering committee members use their individual Twitter accounts to drive traffic to it. There is no chapter Twitter account. The chapter produced a Posterous blog for the first year or so, but team leaders were struggling to find the time to produce quality content. “After we had built a community, it didn’t seem necessary for marketing purposes, so we decided to kill it,” notes Erasmus. People are encouraged to register for meetings via Facebook so the leaders can estimate a headcount, but as many as a third of attendees just show up. Apart from one occasion when there was extra food and beverages and thus a small charge, the events have been free. But Erasmus encourages new chapters to give this policy some serious thought at the outset. “It’s difficult to begin charging if you start out providing the events for free,” he observes somewhat ruefully. Social Media Club Auckland met in bars at first, but the group soon outgrew such facilities. They migrated to meeting spaces in the local offices of ad agencies Ogilvy and Saatchi & Saatchi, and have also regularly used a big conference room donated by local telco Telecom, thanks to the efforts of a steering committee member who works there. Other chapter sponsors include Café Melba, Monteith’s and Epic Beer, which have donated food and beverages for the meetings. Monthly meetings are generally on the second Tuesday. Doors open at 6:00 p.m. for networking, with the formal event starting at 6:30. Meetings feature either individual speakers or panels, with the latter sometimes using a debate format. When possible, the meetings are streamed live over Ustream and recorded for playback on the chapter’s YouTube account, youtube.com/smcakl. Two screens at the meetings also display live Twitter feeds. People attending the meeting either in person or remotely are encouraged to tweet about it, using the Social Media Club Auckland hashtag #SMCAKL. Once the formal meeting is over, people hang around another half hour or so for more networking. Past topics include social commerce, the gamification of social media, mobile social media, social media and politics, citizen media, and marketing to moms. Social Media Club Auckland is taking a holiday season hiatus in December, and the January topic is still being hammered out. ….bring in competitors to help set up the chapter—it looks more collegial and helps with promotion of the events. ….consider the professional culture of your state/country. Some cultures work better when there is more structure defining who does what role. Others, like New Zealand, work better when the roles are more flexible. ….spread the emcee responsibilities around the group. If one person is the “face” of the local chapter and then leaves, it can cause problems. ….mix up the format of the events to keep it fresh. Try solo speakers, panels, debates and other setups. ….try and provide food as well as beverages, by engaging with a local café or restaurant. People tend to stay longer for networking, and you are helping a local business to gain social media traction. ….have more than three speakers per event. Two to three is ideal. ….start the event too late. 6.30 p.m. is a good time. Again, people are already tired. ….worry if you can’t livestream every event—some is better than none. If the event is free, remote attendees don’t have paid-for-conference expectations.